Iberia Express is an airline based in Madrid that operates short and medium-haul flights. 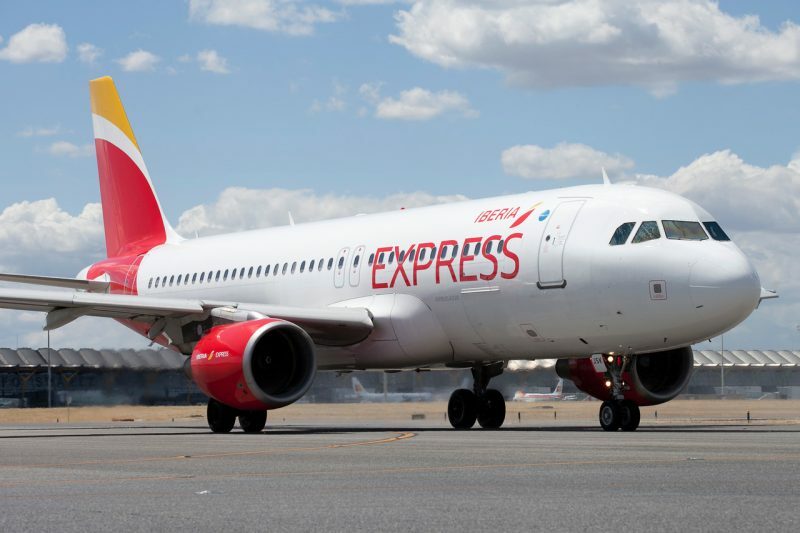 Iberia Express is a part of Iberia Group and provides its parent company with profitable direct and feeder flights, which actively support growth in Iberia’s long-haul network. 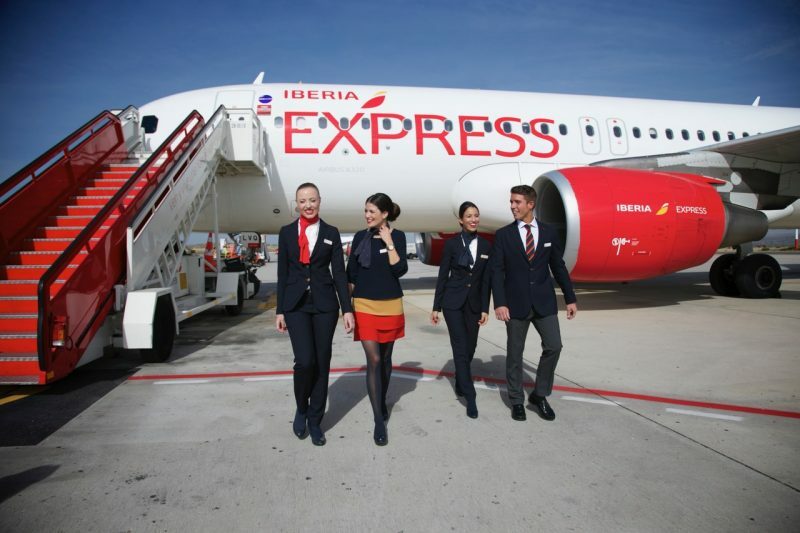 Iberia Express operates 40 routes throughout Spain and Europe. Iberia Express is a member of OneWorld, an alliance made up of 11 major airlines. The airline began operating in March 2012 and has gone on to become one of the top four airlines at Adolfo Suárez Madrid-Barajas airport. The airline transported in the first 7 years over 28 million passengers and operating more than 200,000 flights. Most punctual low-cost airline in the world for the last five years. Iberia Express offers free onboard entertainment, its called ‘Club Express on Board’. For the fifth year in a row, the company was named the most punctual low-cost airline in the world in 2018 by independent flight data experts FlightGlobal. Iberia Express offers passengers to take one piece of hand baggage and one personal item with them onboard of the aircraft. On busier routes, the hand baggage may be placed in the hold at no additional costs. Checked baggage is at additional costs but there is an exception for Iberia Plus customers who in some cases can take one checked bag of 23 kg for free. Please consult checked baggage for Iberia Plus members for more information. Iberia Express has an in-flight Wi-Fi system to access the in-flight entertainment system. However, it’s not possible to go online via this Wi-Fi network to check your email or surf on the web.